Ricoh Company, Ltd., a global leader in digital office innovations, today introduced its new eWriter™ Solution: a business-class tablet and back-end services designed to improve business efficiencies by moving paper processes online. The company also announced that the device and services will be offered through its new business unit, Ricoh eWriter Solutions (EWS). The eWriter Solution is comprised of the Ricoh eQuill™, a tablet that functions as a digital clipboard, and the eWriter Workflow Services. The total solution eliminates paper-borne processes from the workflow, such as forms setup, photocopying, scanning, archiving, paper disposal and more. 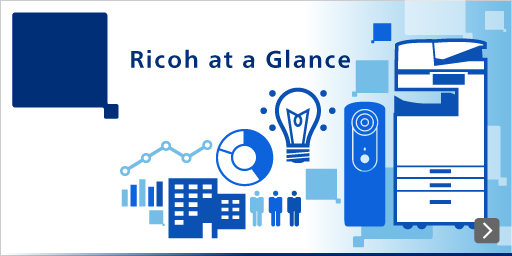 The Ricoh eQuill connects to the eWriter Workflow Services through WiFi or 3G services, enabling information to be captured and relayed from the furthest endpoint to the central enterprise server ─ and back again ─ with minimal time and effort. And it has a battery life of 20 hours in continuous use, making it an ideal candidate for healthcare, document management, credit and insurance claim processing, home and business audits and inspections, civil and police reporting, and many other applications. Users can pull up a pre-populated form on the Ricoh eQuill, make handwritten notes, snap and append a photo using the on-device camera, key-in data with a soft keyboard, sign with the stylus and press Submit. On the back-end, eWriter authenticates signatures by date, time and biometric stroke recognition and stores these for rapid legal or regulatory recall using the Ricoh EWS patented AuthentiDoc™ services. All eWriter data is encrypted using patented “lockdown-secure” Ricoh EWS processes. The information is thereafter made accessible to authorized users on a rights-managed basis. The eWriter Solution imports and exports standard PDF files. It is also designed to readily integrate with leading data capture, document/content management, Electronic Healthcare Records and other business automation systems using PHP and C# APIs. Data transfers to backend systems completes with one press of a Submit button. Also, the eWriter offers a rich development platform for custom forms-capture applications, enabling policy-based server-managed operations (periodic syncs, mirrored backups, etc.) with the Ricoh eQuill functioning as a wirelessly attached thin-client. The Ricoh eQuill. Weighing in at about a pound, the Ricoh eQuill is as lite as a small clipboard and as thin as most paper notepads (less than a third of an inch in profile). It provides the smoothest writing experience and fast-forms processing on the market today and maximum “untethered” portability for carrying the equivalent of an entire forms binder from point-to-point. The Ricoh eQuill offers long battery life—20 hours under normal use – and charges via a 100V-240V U.S. power adapter or micro-USB cable tethered to a computer. Data can be captured via stylus, camera, voice recorder or soft keyboard. Utilizing the latest in electronic-ink display technology, the Ricoh eQuill provides a crisp black-and-white 9.7” screen with the same appearance and readability of printed paper. The eWriter Workflow Services. With the eWriter Workflow Services, users can send documents directly to the Ricoh eQuill and read them anytime, anywhere. Forms auto-fill on the server side and on the clipboard, fields auto-verify (prevents progression/submission without a signature field), and forms will support web-like features (drop-down menus, text fields, check boxes, radio buttons and signature boxes). Advanced scripting language allows developers to write customized forms applications (in Python) with browser-based viewing capabilities (in PHP, C#/.NET and html). The eWriter solution provides central management for forms and documents, users and groups, applications, tablets, location services, auto-wipe, 3G, and storage. It offers end-to-end security as documents move through the workflow – mobile, on-site, or both. It stores verifiable signatures – strokes with speed, direction and pressure and tracks to the millisecond – much more reliably than pen on paper. Its patented AuthentiDoc™ service creates trusted, tamper-proof documents for use as admissible evidence in a court of law. One-button™ routing moves documents to the next point of the workflow with the touch of a button. The tightly integrated system fits into the business | enterprise workflow and integrates seamlessly with document management, business automation, medical records and similar applications. Ricoh eQuill clipboards will be sold via value-adding Channel Partners, and will commence shipping in Summer of 2011. Pricing is quoted on per-configuration basis, with entry-level pricing starting at under $500. Value-added offerings from Channel Partners can include custom forms applications developed with the eWriter Development Kit (available in June 2011). eWriter Workflow Services will be sold directly to business | enterprise customers. Ricoh EWS (http://www.ricoh-ews.com) is a new business unit of Ricoh Company, Ltd. whose mission is to address technology gaps in the digital workflow by replacing paper-based writing solutions with efficient digital alternatives. The eWriter Solutions product and services offer business-quality end-to-end services ‒such as storage, hardware encryption and security, user authentication and document verification ‒saving companies thousands of dollars each month in staff time and paper-based processes, and significantly reducing carbon footprint.